Please contact sam@ifieldgolf.com for further information or to make a booking. Please click here for a booking form which includes the catering menu. Steak & Ale Pie, Chips & Peas. All with Tea/Coffee. Coffee/Tea & Bacon Roll, 18 Holes of Golf and 2 Course Lunch/Dinner. Menu A with Tea/Coffee & Mints (add £3.00 for 3 Courses). Please call 01293 523088 to arrange buggies. No jeans of blue denim material, cargo style shorts/trousers or gentlemen’s cropped trousers, trainers, socks rolled down or coloured short socks. Tailored shorts must be worn with white sports socks. No track/shell suits, T-shirts, vests, football or rugby shirts. Ladies skirts, culottes, skorts, pedal pushers or shorts should be no more than 4inches above the knee. Dress shall be of a clean, smart casual and tidy appearance at all times. We do not permit waterproof golf clothing, hats or trainers to be worn in the bar, dining room, patio or conservatory. Gentlemen can wear casual slip-on shoes with no socks but no sandals or flip-flops. Tailored shirts, especially designed to be worn outside trousers (square-cut not tailed) may be worn. All other shirts must be tucked into trousers. Mobile telephones may be carried for emergency use only on the Golf Course. The use of a mobile telephone is not permitted for voice or data communication either on the Golf Course or anywhere within the Clubhouse, conservatory or putting green. Offenders of any of the above rules will be asked to leave. A booking can only be considered confirmed upon receipt of the completed forms with the requested deposit. The Club reserves the right to cancel or amend any booking. The deposit is returnable if the Club should cancel. If the Society cancels and an alternative date cannot be arranged that year, the deposit is non-returnable. Catering requirements must be competed on the booking form. Any special requirements must be discussed directly with the Catering Manager. Numbers must be confirmed at least 48 hours before the day and if, on the day, numbers are fewer than those confirmed, a charge will be made for the shortfall. Singles, Foursomes, 3 Balls, Greensomes. 4 balls by arrangement. Normal standards of etiquette are expected. All players must respect the course and repair pitch marks, rake bunkers and replace divots. All groups will start at the first tee. Gentlemen will play from the Yellow tees and Ladies from the Red tees unless otherwise arranged. The Club reserves the right to ban trolleys should the weather conditions make this necessary. It is advisable to contact the Club before arrival to check if there is a trolley ban. The Professional’s shop is well stocked with prizes for your day. 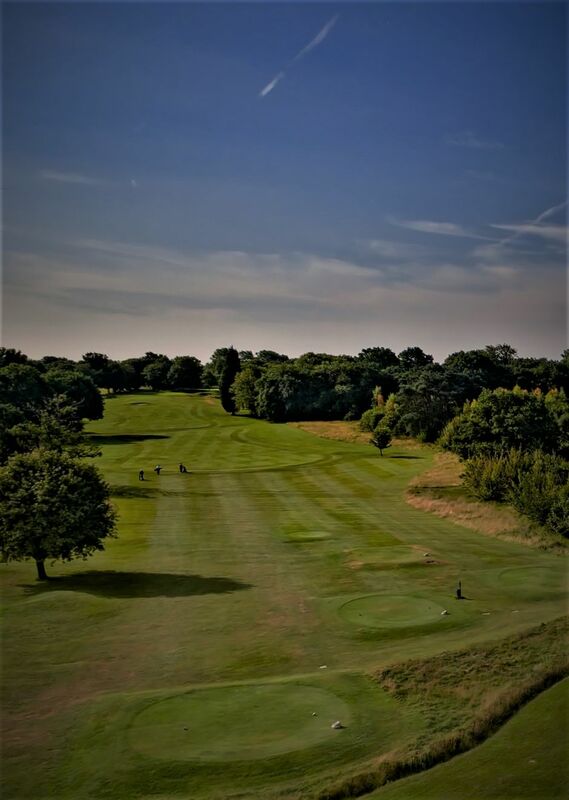 Ifield Golf Club will not be liable or responsible to any visitor for any accident, any injury suffered or any belongings, equipment or vehicles in or on the property of the Club. Visitors are expected to have adequate insurance cover against third party liability as well as their own all risks cover.